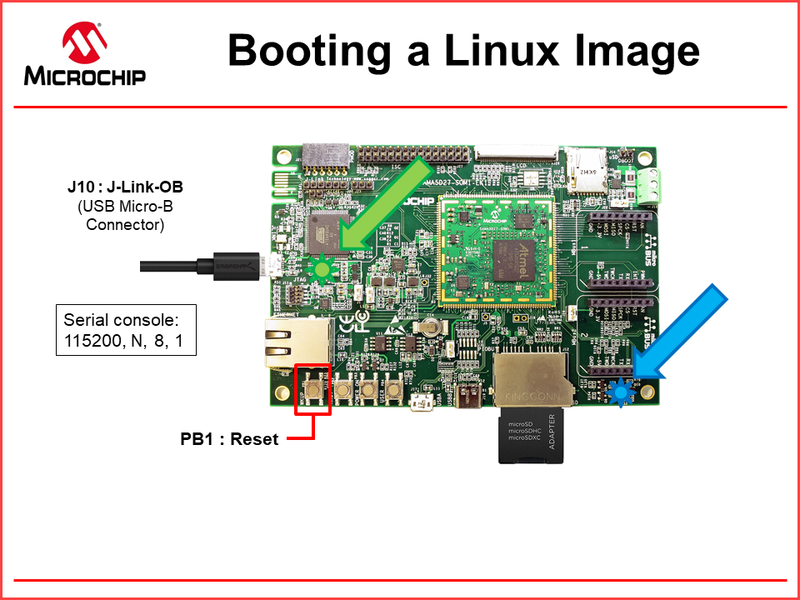 This topic lists step-by-step instructions for booting a Linux image to the ATSAMA5D27-SOM1-EK1. 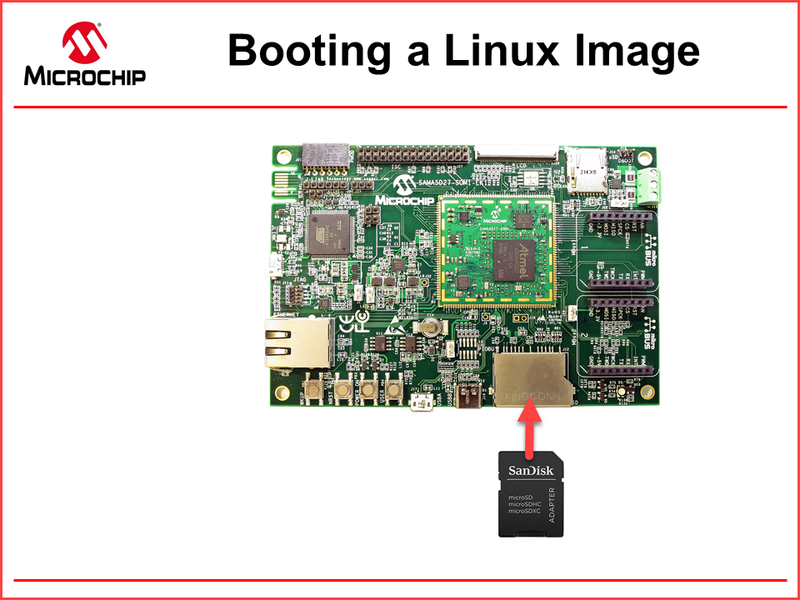 As an example (and demo), you will download and flash a demonstration image from the Linux4SAM website. 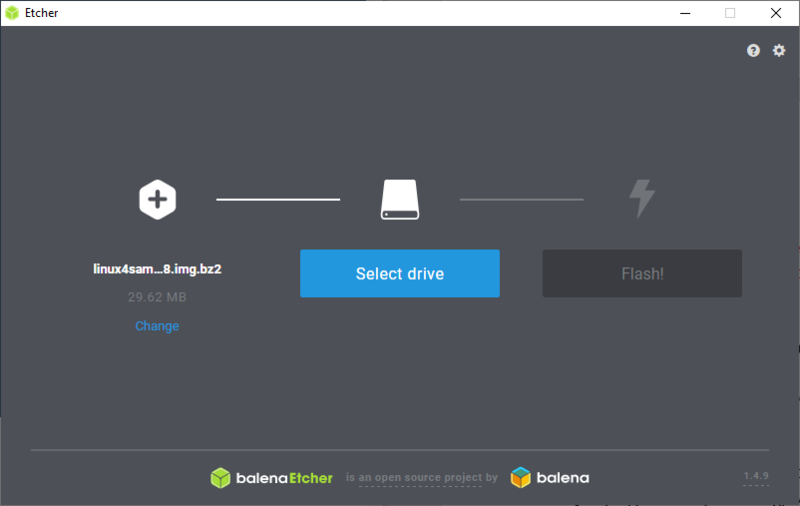 Download, install, and configure a Terminal program onto your personal computer. 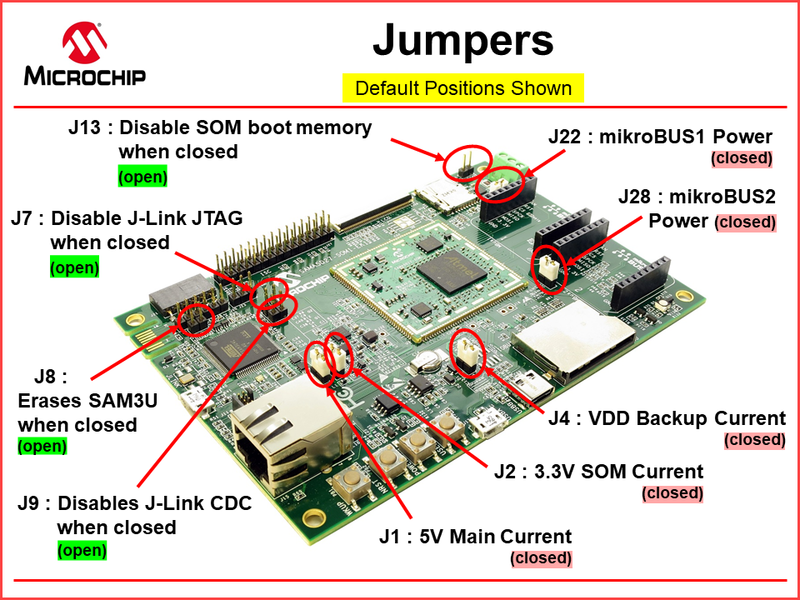 Take a moment and familiarize yourself with the Features of the ATSAMA5D27-SOM1-EK1 development platform. If this is your first time downloading an image, and you are not sure which one to download, try the Buildroot based demo without display: linux4sam-buildroot-sama5d27_som1_ek-X.Y.img.bz2 where X.Y is the version number. 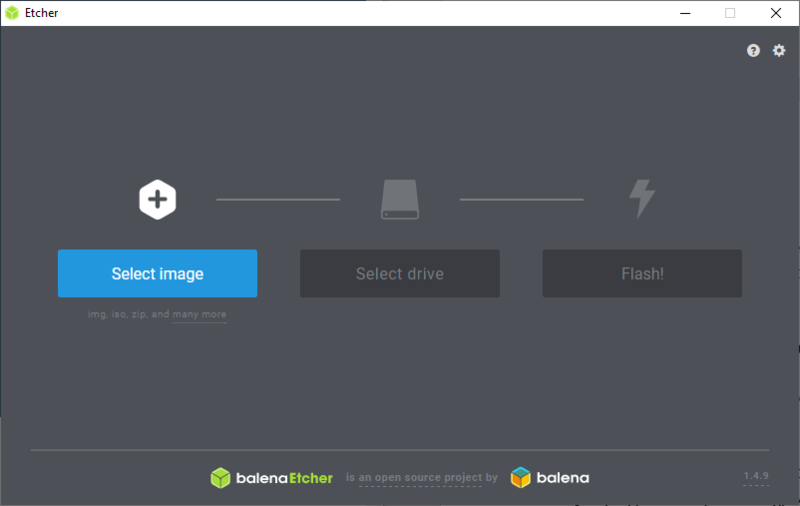 The easiest method to flash an image to a SD Memory Card is to use the utility program Etcher. 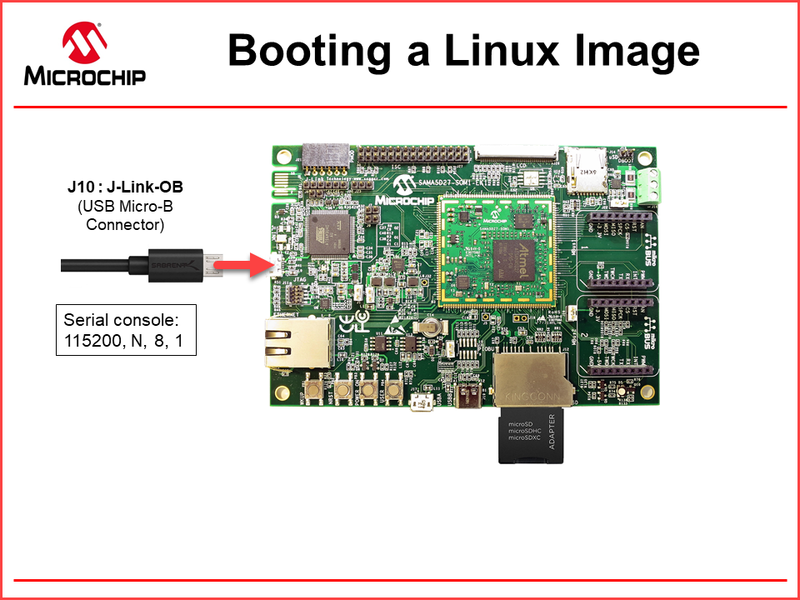 It is available for Windows, MacOS, or Linux. 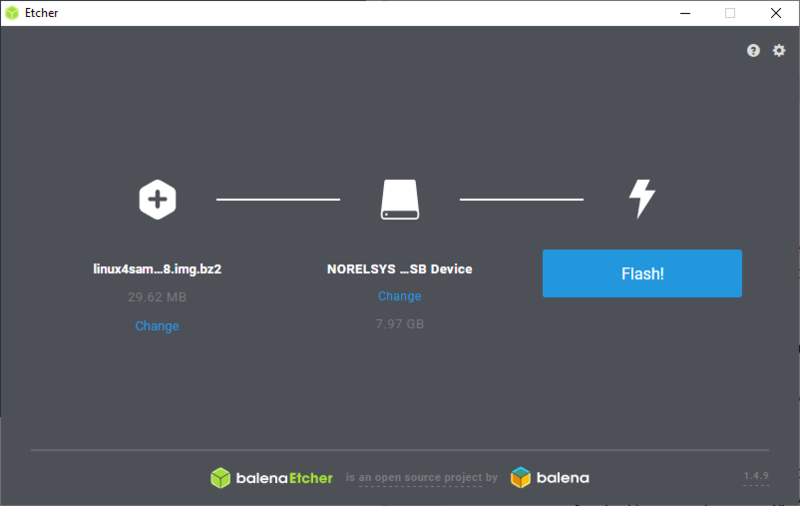 Third, select flash. This will take a few minutes. There are several choices for terminal programs. Below is a list of popular programs. Many are free to download and a few are included with the operating system or distributions. The boot sequence will display in the terminal window. At the end the command line will prompt the user to log in.